Built in 1924 and restored to its original grandeur in 2011. Majority was the successful bidder on this competitively bid renovation project that included the demolition of the former Sorg Jewelers. An additional three story conventional steel structure was added, with synthetic and fiberglass composite elements on the new facade used to match the former Elco / Lerner Theater building. 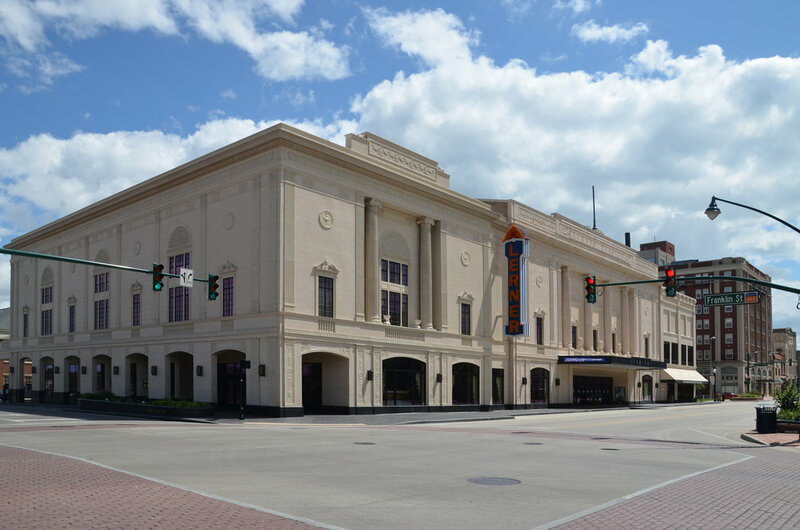 The project included cleaning and repairing the existing theatre to receive paint schemes and wall covering, adding state of the art lighting systems, expanding the stage, adding an orchestra pit, new seating and acoustics. 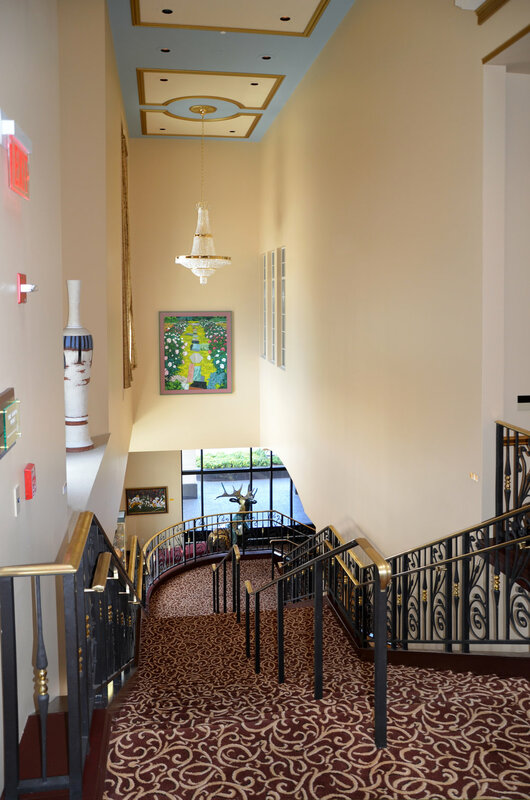 The new addition added elevators, new egress from the theatre balcony areas for ADA compliance, numerous toilet facilities, a kitchen, 500 seat ballroom and grand staircase. The renovation of the former Masonic Church for the South Bend Civic Theatre re-purposed this building into a beautiful arts & entertainment venue. Majority was the successful bidder for the general construction contract of the 22,000 square foot renovation and addition. 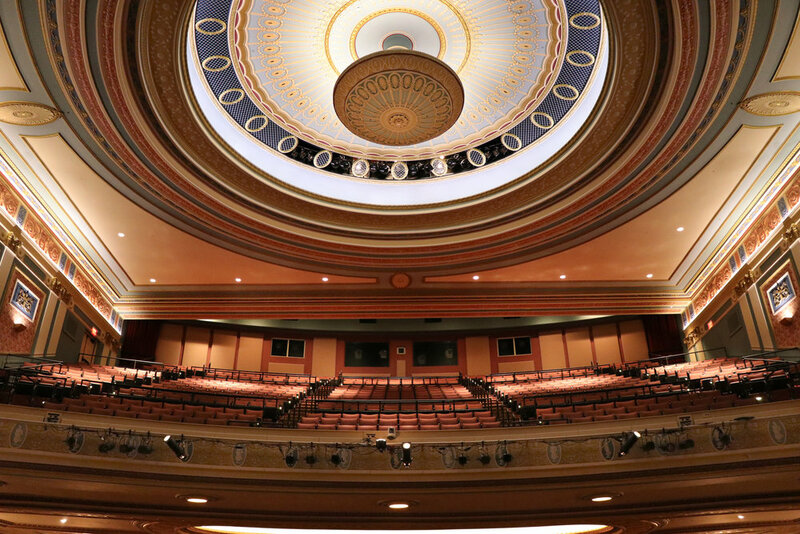 The project included demolition, remodeling work, the construction of a new prop storage addition, refinishing woodwork, adding new theatre lighting, suspended lighting grid, new terraced theatre seating area, motorized sun control windows, a control room and accessibility features. The Country Club needed to position the new clubhouse so that as many tees and greens would be seen from the second floor windows and patio areas. 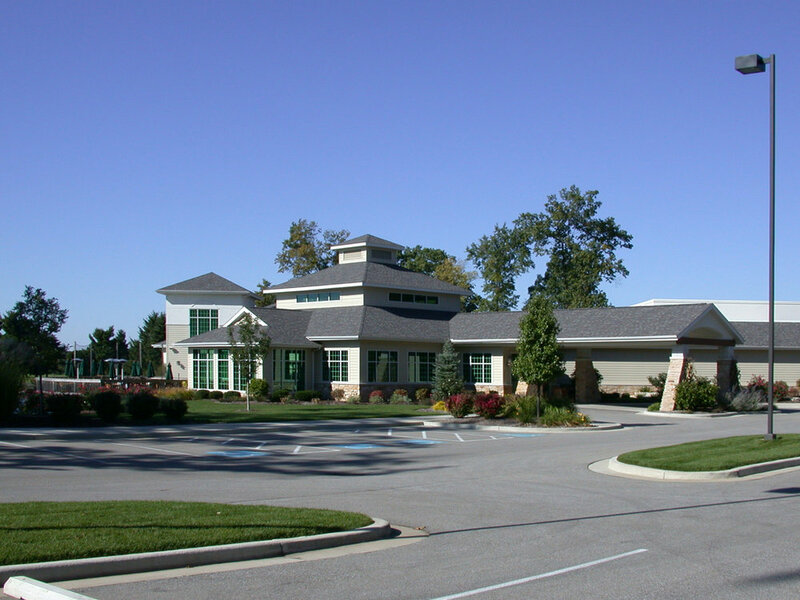 The project was completed in two phases so the old clubhouse and operations could continue until the move into the new building. Once the former building was razed, a new elevated patio and pool concessions area was built where the former clubhouse once stood. 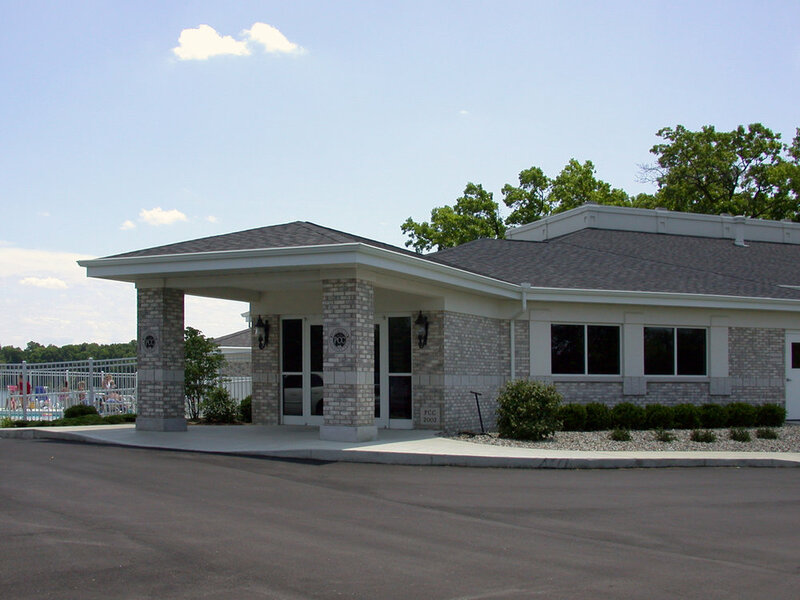 Majority worked with the owner’s representatives in the design and function aspects while providing up-to-date costing on this Negotiated Design-Build Project. Once the preliminaries and budget were set, the plans were prepared by Joseph Dzierla and Associates. Majority Builders was chosen as the designated builder for this magnificent Swan Lake Golf Club complex. The cantilevered wood deck adjoins the “Public Restaurant”, Lounge Area and the Resort’s “Play & Stay” Dining areas for an exterior common use for all patrons. The Banquet Hall will seat up to 700 and may be divided into three separate rooms with independent lighting, sound system and HVAC control. Nested into the hillside that overlooks Pretty Lake, the new 16,700 Sq. Ft. Clubhouse has multiple on-grade entryways designed to be accessible by all ages. Majority worked with the owner on all facets of this negotiated Design-Build project. The Country Club wanted to position the new clubhouse so that as many as possible tees and greens would be seen from the second floor windows and patio areas. The project was completed in two phases so the old clubhouse and operations could continue until the move into the new building. 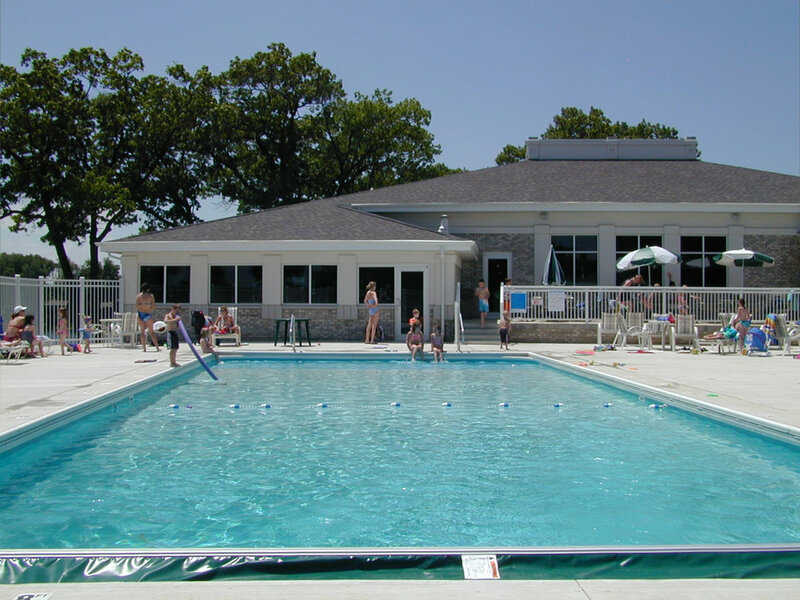 Once the former building was razed, a new elevated patio and pool concessions area was built where the former clubhouse once stood. Majority worked with the owner’s representatives in the design and function aspects while providing up-to-date costing on this Negotiated Design-Build Project. Once the preliminaries and budget were set, the plans were prepared by Joseph Dzierla and Associates for construction.